The story of the 2017-18 Philadelphia Flyers is a familiar one. They are an uneven and inconsistent team that is failing to live up to expectations. Through 44 games, the team has an uninspiring 20-16-8 record. From Nov. 11 to Dec. 2 the team lost 10 straight games, a month later they won six in a row and shortly after that they won another four in a row. This has become a familiar pattern for the Flyers over the last few seasons. 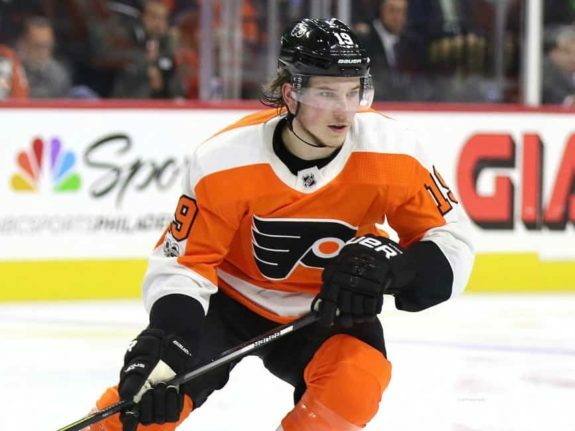 They are a team boasting young talented players like Jordan Weal, Travis Konecny, Nolan Patrick, Shayne Gostisbehere, Robert Hagg and Travis Sanheim and star power, with some of the best players in the NHL including Jakub Voracek, Sean Couturier and Claude Giroux who are all within the top 20 in scoring. Couturier is fourth in goals scored and Voracek leads the league in assists with 45 and Giroux is right behind him with 40. With adequate goaltending from veteran Brian Elliot, the Flyers look to be a dramatically improved team from a season ago. Their young players now have a year of experience, their goaltending has improved overall and their stars are shining brighter than they have in recent memory. However, the 2017-18 Flyers have been plagued with the same problem over the last three to four seasons: they do not have enough depth. Behind Couturier, the team doesn’t have another high-quality center, as Giroux has played most of the season on the wing and this seems to be a big factor in his resurgent season. Instead, we’ve seen Valtteri Filppula, Scott Laughton, Jori Lehtera and Nolan Patrick. Simply put, the Flyers’ depth has not been good enough this year and the narrative feels eerily familiar. Dale Weise continues to disappointment and remains an anchor on whichever line that head coach Dave Hakstol deploys him. Through 35 games, Weise has two goals and six assists, a minus-4 rating and a Corsi-for of 44.7%, compared to the team average of 50.4%. Weise has not been the only Flyer who’s failing to live up to expectations. Filppula has 18 points in 44 games and a Corsi-for of 45.4%. Nolan Patrick, the Flyers’ second overall pick in the 2017 NHL entry draft, has eight points in 35 games and a poor Corsi-for of 44.2%. More or less, the 2017-18 Flyers are, as expected, looking like a middle of the road team that might be able to push for a playoff spot but will more likely miss the postseason. 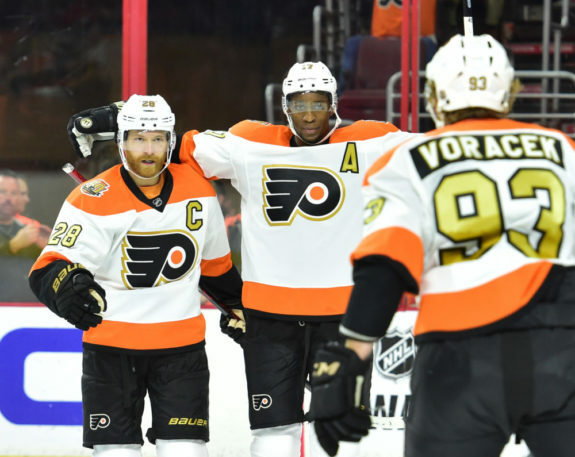 Can Flyers be Competitive with Youth & Aging Stars? Philadelphia has the top-end talent to compete in the ferocious Metropolitan Division, as they are only six points behind the second place New Jersey Devils, but the team lacks viable depth down the lineup. The Flyers are in a difficult situation. Most of their top-end talent are in the prime of their careers and the youth movement is underway. However, will the young players reach their peaks in time for the team to be competitive with Giroux, Couturier, Voracek and Wayne Simmonds? The way the team is trending, they might be able to become a legitimate contender with their current core and influx of youth but it all depends on how quickly these young players can develop and contribute. Another problem is the team’s precarious goaltending situation. Elliot has done a fine job this season after a rough start, while oft-injured Michal Neuvirth is an acceptable backup when healthy and the Flyers have young and promising goaltenders in the pipeline. Elliot is now 32, Neuvirth is 29 and the team might be forced to rely on this duo next season as well. The team in front of them can play extremely well but if the goaltending is not strong enough, the Flyers will not be a true competitor. Can Elliot keep up his renaissance performance or will he fade away as he turns 34 during the 2018-19 season? This will be the biggest question the Flyers face if they want to shoot back into the playoffs and become a competitor with their core. Thank you very much for reading, leave your feedback in the comments below!